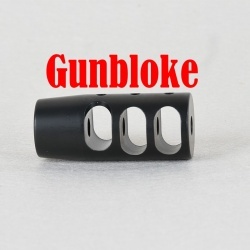 The Tactical Low Concussion (TLC) Muzzle Brake design combines the effectiveness of a brake with critical reduction in overpressure and concussion. 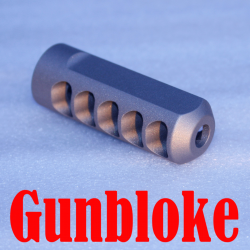 1/2-20 TPI thread featuring High pitch diameter tolerance class 3B threads machined in the same operation as the bore ensures a perfect concentricity, this combined with a progressively decreasing baffle thickness and maximized venting area significantly reduce bullet flight disturbance resulting in less yaw, higher BC, and improved accuracy. 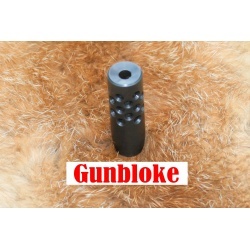 The TLC Muzzle Brake takes advantage of the state of the art Computational Fluid Dynamics software currently available. 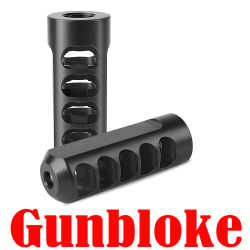 Designed for specific dynamic goals, the TLC Muzzle Brake tames recoil with superior reductions in firing point concussion and overpressure! 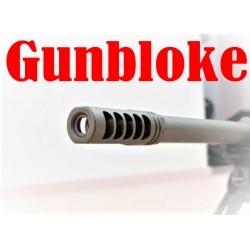 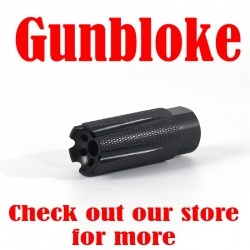 Designed for CQB and Low Concussion to operators, also for use on long range tactical rifles and scout rifles too. 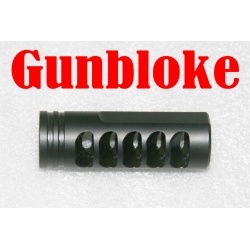 A single expansion chamber and 30 total ports, provide maximum recoil control.